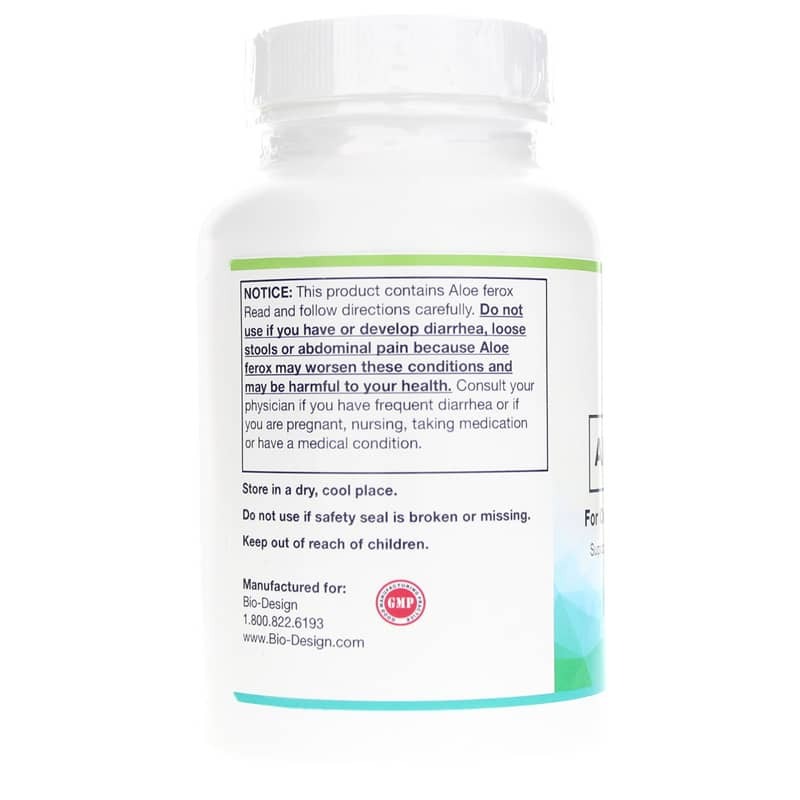 Aloe Lax 225 by Bio-Design is an herbal supplement that seeks to support digestive health with a pure form of aloe vera. It is available only through healthcare professionals. Bio-Design utilizes the fiber and bulk from a pure form of aloe vera to make its Aloe 225. The aloe ferox plant's leaves have purgative and antioxidant effects, and may promote the flow of gastric juices. For these reasons, it is used to support the digestive system. Among its many potential health benefits, aloe ferox is also known to help soothe intestinal tract tissue. For best results, take at bedtime with a full glass of water and store in a cool, dry location. 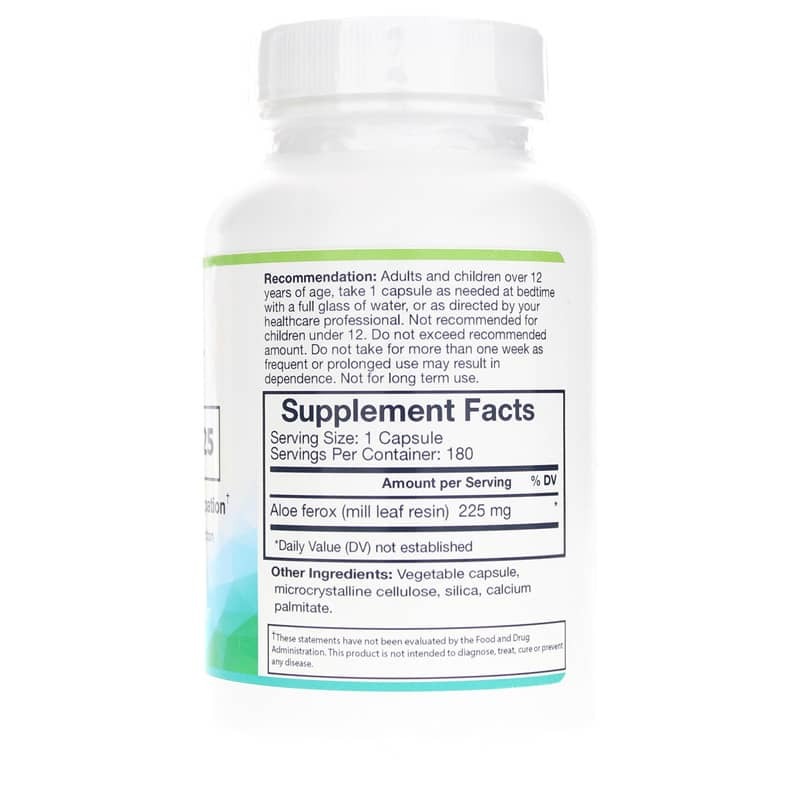 This supplement is intended for adults and children over 15, and for short-term use. 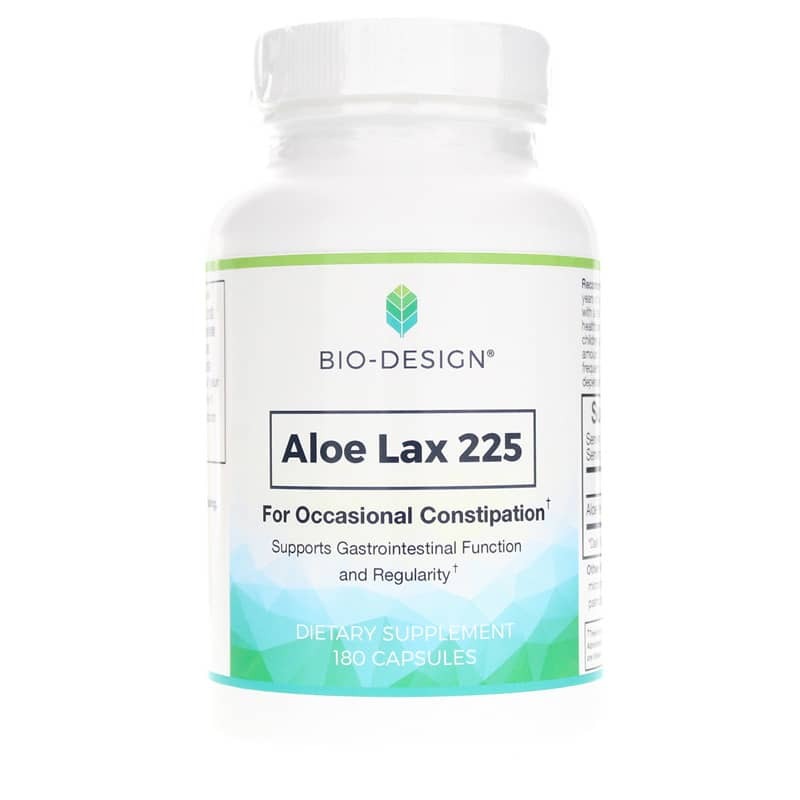 If you're interested in trying a natural approach for supporting your digestive health, consider Bio-Design's Aloe Lax 225. Other Ingredients: vegetable capsule, microcrystalline cellulose, silica, calcium palmitate. Adults and children over 12 years of age: Take 1 capsule as needed at bedtime with a full glass of water or as recommended by a healthcare professional. Not recommended for children under 12 years of age. Do not exceed recommended amount. Do not take for more than one week as frequent or prolonged use may result in dependence. Not for long term use. This product contains Aloe ferox. Read and follow directions carefully. Do not use if you have or develop diarrhea, loose stools or abdominal pain because Aloe ferox may worsen these conditions and may be harmful to your health. Consult your physician if you have frequent diarrhea or if you are pregnant, nursing, taking medications or have a medical condition. Keep out of reach of children. This product has been reformulated & the capsules have been reduced in size, without customer knowledge. It's not effective & I do not recommend. Misleading to long time customers!